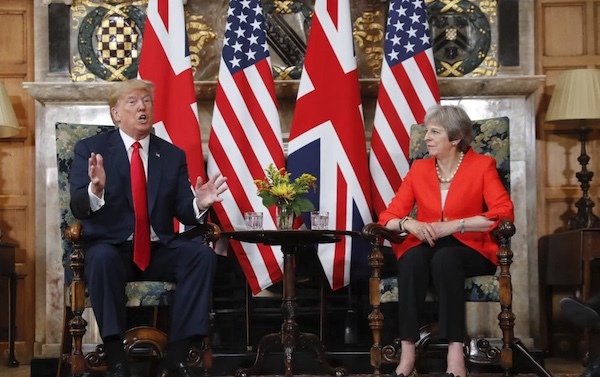 The President of the United States Donald Trump is currently in England. Trump known for his brash style evokes everything from anger to wild cheers from people where ever he goes. Here are 4 things that have happened on his trip so far.